In addition to its own production, TOP-TRAIN is pleased to offer you also models of private collections. 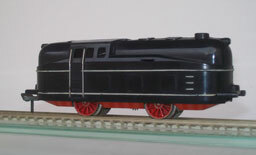 LC05002 LEMKE Steam locomotive BR 005 Black. 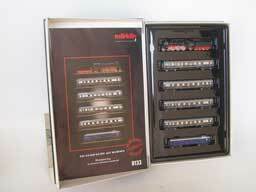 OMI6488.1 OVERLAND Set Locomotors Diesel AT&SF F3 # Set 2 # A-B-B-A, all trolleys of the set are motorizied. OMI6533.1-B OVERLAND Set 2 Locomotors Diesel UP C41-8W and fuel tank. 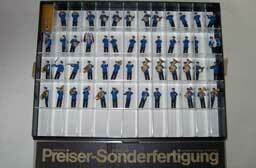 U0SET U Fine Brass Model, Set of 12 wagons, Northern Pacific . Special Price. 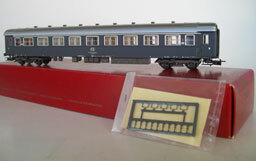 U1 U Brass model wagon, without motor. U7 U Fine brass Model. Water tank wagon. 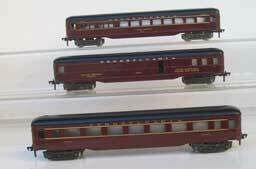 U8 U Fine brass Model. Water tank wagon.